HOME CARE COSTS in 2019 - Use our free calculator to work out yours! options, so many different costs! That is why we have created our paying for home care costs calculator to help you work out how much your home care will cost you! The calculator is about a third of the way down this page. We will tell you what we think it should cost you, and you can use this information when you speak to care agencies. What is home care and what does it cost? Home care, or domiciliary care as it is also known, is a fantastic alternative to residential care but it is important to understand your likely home care costs if this is a route you go down. It is often preferred by those who have lower level care needs and wish to remain in their own home. Now homecare is available at varying levels for many different types of individuals – making it more accessible than ever before. Yet like any form of care there are financial implications – and although the cost of home care is usually less than residential or nursing care, the money you spend can still mount up over time. You can read more detail about specific home care costs further down. There is also a calculator you can use to estimate your costs. In this informative section we explore the cost of home care, explain how you can pay for home care – and share why financial planning is important. Key question and answers related to home care costs are also set out later in this section. If you prefer home care and need some with you permanently, then you can look at Live In Care. This is becoming very popular as it allows someone to be with you 24 hours and also allows you to stay at home. 1 – Home care costs – what will it cost you? One of the first questions you need to consider when coming to a decision about home care is: how much does home care cost? Naturally there is a financial element to care – and you’ll need to budget accordingly. If you are looking for help in working out the best way to pay for your care, you can look at our care advisor directory for a financial advisor that can help you find the best possible funding option. To calculate your estimated home care cost, think about how frequently you’ll need to access care, and which type of care you’ll require. For example, companionship and errand running types of care usually cost less than more intensive personal care and assistance with medication and mobility support. On average you can expect your home care cost to be anywhere between £15 and £30 per hour. If you need the home care for 24 hours per day, this is called Live in Care. The costs for this typically start around £800 per week and you can read more about it here. Here is a short video that explains how live in care works. Here is a short video that explains what live in care costs are. 2 – What are the average home care costs? Home care costs usually fall between £15 and £30 per hour with the average rate being around £18-20 per hour. This means that if your home care costs are £18 per hour and you require 14 hours of care per week (2 hours per day) you can expect to pay around £1,100 per month or £13,200 per year. Usually you’ll pay for the home care cost on a monthly basis, with a summary of the hours provided to your chosen home care services agency. Some people like to set up Direct Debits if they are in receipt of a regular amount of care. The average home care costs per hour in the UK are around £15 – so it’s best to budget around that in the initial stages of your search. When you are looking at a home care provider, it is important that you look at their home care rates. Costs in the North are generally cheaper than in the South. Click here for a a local advisor that can help you with your financial planning to meet your care costs. This is an independent directory of financial advisors you can use. You can use the blue calculator below to estimate your home care costs, no matter where you live in the country. What year will you go into residential care? How many years will you be in the care home? What year will you start needing home care? How many hours a week of care do you need? How many years will you need home care for? 3 – Will I have to pay for my own home care costs? Your ability to pay for care will be determined through a means test called a Care Needs Assessment. You can read more about that here. Watch this short video that explains more about what the care needs assessment is and how it works. In simple terms your property will not be included if you’re arranging care and support at home and may not be included if you live with a partner, child, or a relative who is disabled or over the age of 60. The cut-off point after which you are responsible for meeting your own care costs is £23,250. If your capital and income are above this then it is likely that you will need to pay your own care fees. If your capital and income is under £23,250 you might get some help from the local authority, but you may still need to pay some fees. Anyone classed as having ongoing and substantial care needs could be eligible for NHS continuing healthcare funding. For example, Alzheimer’s patients with intense and unpredictable care needs, or someone who is recovering from a stroke in their own home following a period in hospital may be eligible. If you are looking at care options following a hospital discharge you can read about it in the site. In this circumstance, the NHS will meet all your care costs, irrespective of the £23,250 threshold. You can read more about NHS continuing healthcare funding here. 4 – How can I plan for the cost of paying for home care? It’s really important to plan financially for the cost of home care. As above you should consider the length of time you’ll require care, the frequency, and whether your circumstances may change in the future. For an accurate forecast of your home care cost you can also take a look at our handy Care Calculator above. This enables you to plan for the future financially taking into account the type of care you need and your current budget and assets. If you plan for the cost of home care this gives you peace of mind knowing that you’ll be able to provide the funds for the type of care you need. One of the most popular methods for paying home care costs is to unlock the value ion your home through equity release. Here is a short video that explains how equity release works. Here is a short video that explains the advantages and disadvantages of equity release schemes. Equity release, in essence will allow you to take money out of your home, tax free. This can be used to modify your home, to make life easier, or to pay for a carer to come and help you. Click the equity release calculator below and you can work out how much money you can take out of your house tax-free. 6 – Who carries out my care needs assessment? The assessment will be undertaken by a specialist. They will work with you to see how you cope with day to day activities, such as dressing, cooking and washing. This is known as identifying your ‘care outcomes’. It is important that you are open and honest with the assessor, so if you do have someone that helps you with your daily activities, please do tell them. The assessor needs to know how many ‘care outcomes’ you need help with, as this in turn helps identify whether you are eligible for support. 7 – What happens after the care needs assessment? Following the care needs assessment, your local authority will let you know what services either it can provide or can arrange for you. All local authorities have to use a set of nationally agreed criteria when assessing what care you are entitled too. 8 – How will my Local Authority meet my care needs? Once the results of your assessment are known, your local authority has a legal duty to meet your requirements. 9 – Who can help me plan for my home care costs? It’s not untypical for your care costs, over time, to be in the region of £100,000, which is clearly a substantial sum. Therefore, if you are expecting to fund your own care costs then we strongly recommend that you speak to a financial advisor who can guide you through all the care funding options available to you. You can read our article here on the why you should consult with a financial advisor before moving in to a care environment. You can visit our independent directory of financial advisors that can help you here. 10 – How can I pay for my care? If you do have to fund your own care then we would recommend that you read our section on paying for care. The costs of care can easily eat away at any savings that you have built up. Therefore, we do recommend that you familiarise yourself with the different ways that you can pay for your care and speak to a specialist to determine which route is likely to be best for you. At the bottom of this section we have shared our 6 top tips for funding home care. 11 – How can I plan ahead for the cost of my care? It’s really important to plan financially for the cost of home care. As above you should consider the length of time you’ll require care, the frequency, and whether your circumstances may change in the future. It is feasible that you need home care in the early years before then moving on to assisted living or residential care in the future. The latter two options are often much more expensive then home care so you may need to factor this in. You can use the Green care cost calculator above to work out what your residential care costs could be. For an accurate forecast of your home care cost you should use the Care Calculator above. This enables you to plan for the future financially taking into account the type of care you need and your current budget and assets. 12 – What are private home care costs? Private home care simply refers to any care you pay for yourself which is not fully government funded, and doesn’t come under the NHS Continuing Healthcare scheme. As above, you can expect to pay between £15 – £30 per hour and the average is probably about £18-20 per hour. Average costs tend to be more expensive in the south compared to the north. Private home care costs may also be partially funded by your local authority. If you are entitled to NHS continues healthcare funding then the NHS will meet your care costs. You should look in to this as it may save you a lot of money in the long run. With private home care you choose the provider of your home care. This means that you’re free to select whichever company you wish, providing your budget allows for it, as private home care providers set their own home care rates. Private home care costs can be met however you wish. You may choose to use your savings – or may be able to cover them using your pension and benefits. Private home care costs and rates must be paid for independently, either fully or partially. It is assumed that private home care companies offer a better quality level of care – and generally this is the case, but of course private home care costs are higher to reflect this. 13 – Where can I find a local home care agency? We have over 10,000 home care providers in our database covering all of the UK. You can find a home care agency in your area by searching the database here. 14 – What else do I need to think about as I consider my care needs? This will help ensure you determine what happens to your assets. If you don’t make a will the government will decide what happens to your money and assets. You can read more about what will writing services offer here. This will help ensure that should your mental health deteriorate there is someone in place to make decisions on your behalf. We strongly recommend that you read this section as there are two types of powers of attorney that you need to consider. These are a health and welfare power of attorney and a property and financial affairs power of attorney. It’s never a topic we really want to think about, but the cost of funerals can be expensive. Therefore, we recommend that you look at pre-paid funeral plans. You can read more about funeral plans here. Here is a video that explains the pros and cons of a funeral plan. In addition, the person that is responsible for dealing with your estate will need to get Probate. This will therefore allow that individual to carry out your financial and legal wishes. You can read more about what it is and Probate costs here. Protective Property Trusts – They allow you to save a portion of your property to pass on to loved ones. They are also known as ‘Property Trust wills’. Here is a short video explaining how these trusts work. Interest in Possession Trusts – It’s a kind of trust fund set up to entitle the beneficiary to any income as soon as it is produced. They are very similar to Life Interest Trusts. It’s very important to think carefully about paying for home care. If you are accessing home care aged 60 and don’t expect your condition to worsen imminently you can expect to be paying for home care for at least fifteen years before perhaps moving in to a care home. When paying for home care in a more difficult situation such as when a person requires palliative care, you can predict a shorter period of care provision. Although you may assume that you won’t deteriorate in the future (and it’s unpleasant to consider this) it’s better to plan for a more intensive care requirement rather than leave it to chance and run out of money at a later stage. Also remember that you may need to move into residential care at a later stage and will need to plan for this. We recommend you start thinking early about how you will pay for your longer term costs. You can read our guides that set out all the different ways to pay for your care. You will need to use any assets available to you to pay for home care. This includes your pension, savings and any benefits you receive, as well as assets such as property. 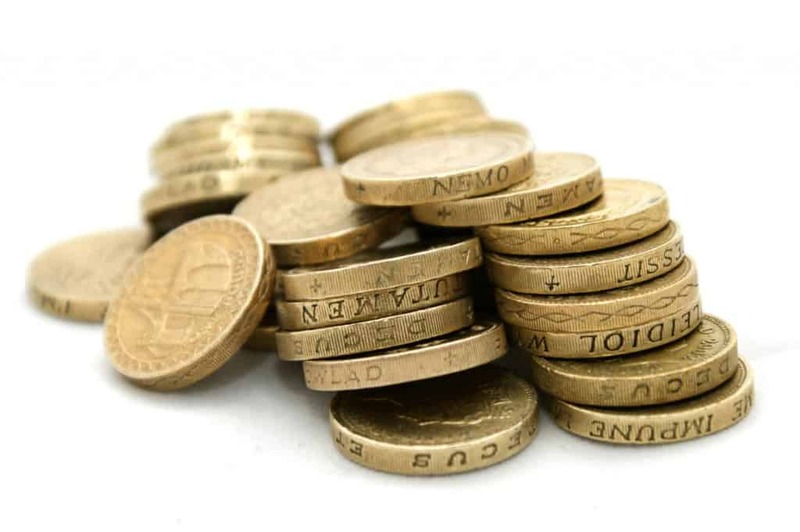 Any financial support you may be entitled to from your local authority will be means tested, but it is important to find out whether you are entitled to it, as otherwise you could be spending money you don’t need to. A means test will take into account your current financial situation including all of the above elements. Currently the threshold for full funding is £23,500. This means that if you possess assets amounting to £23,500 or more you will not be eligible for subsidised support. However it’s expected that you may need support in the future – so you can contact your local authority at a later date should your funds run out. It’s important to check that you are not entitled to any benefits which may be used towards the cost of paying for home care (such as Carer’s Allowance, Attendance Allowance and Disability Living Allowance). You should also ensure that a care needs assessment has been conducted so that you are aware of the exact level of care you need. This can be arranged by your GP, consultant or social care worker. A care needs assessment also determines whether you may be entitled to NHS Continuing Healthcare. This is medical care provision in the home offered free of charge – but only those with recognised specified health conditions are eligible. I think I need some help. Who can help me? We could all do with some help now and again. We have created a directory of professionals that can support you across a range of different issues as you or a loved one begin to go in to care. Care fees can easily go above £100,000. Therefore, it is really important that you speak to a financial advisor that specialises in paying for care. They will be able to explain all the options that are available to you to make sure you don’t overspend and get value for money. Click here for an advisor that can help find the best way to meet your care costs. A Lasting Power of Attorney (LPA) is a legal document which enables a nominated party (usually a family member) to make decisions on a person’s behalf should they lack mental capacity at any time. Click here for specialists that can help you draw up a Lasting Power of Attorney. Making a will is one of the most important things that you can do. Each year, 1 in 3 people die without having a written will in place to protect their assets for their families. Although it’s often difficult or unpleasant to consider death, it’s very important to make a will – even if you consider yourself to be young and in good health. Click here for writing professionals that can help you create your will. Should the NHS be paying for your care costs? For those who are living with significant medical care needs which will need to be addressed on a long term basis, NHS funding is available in the form of a NHS continuing care plan or grant. NHS continuing care or NHS continuing healthcare as it is also known, is free, unlike social and community care services provided by local authorities. Here are people that can help advise you on whether you are entitled to NHS continuing health care.